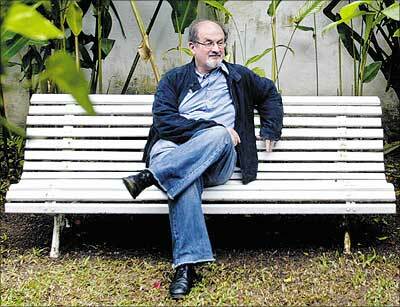 With the help of colossal amount of Saudi oil money and partly the rise of the Ayotalollahs and Shia Islam there has spread this much harsher, more intolerant Islam, says internationally acclaimed writer Salman Rushdie in an interview with CNN-IBN. 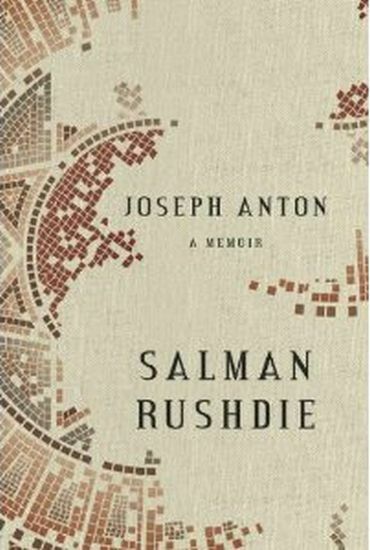 The popular and controversial writer speaks on his just published memoir Joseph Anton. It's a big book, almost seven hundred pages. Its gripping and very moving, what moving about it is, I thought, was that your dogged and persistent courage in the face of those harrowing circumstances, that keeps coming through. Why did you feel that this was the right time to write this memoir, to tell your personal story? Just because I felt, I had enough distance from the material to do a proper job. For a long time, I didn't want to write it as I felt too close to it emotionally and frankly when I escaped from that cage, the last thing I wanted to go put myself back in the cage to write about it. So I waited until I felt I could approach the subject properly. You write in the book that you became the man in those years of the fatwa, nobody loved but many hated, you became that man. Is this book in some senses a defence, is it reaching out to the people who hated you, to tell them what exactly you're like. Because I tried writing it in the first person and I did not like it... and I just felt there was something wrong with the tone, voice of it. It felt too self regarding, too narcissistic... and also because I wanted to be objective about everybody. I wanted to be super objective about myself. I felt writing it in the third person I could slightly step to the side. Look at the character with my name and write about it more truthfully, more objectively and more critically. There were things....I often said to my friends...if it wasn't for the fact that this is funny, it would be very funny. There were moments, I think it was a little strange -- the closest I came to getting killed in all those years was in this car accident I met with, in Australia, with this truck filled with fertilizer, this truck load of dung. Fortunately it didn't spill all over me. But that was the closest I came to getting killed. It was a ridiculous moment after this accident, in which nobody got killed, when the police got there they began interrogating this poor Australian truck driver like he was some Islamic terrorist! The book is called Joseph Anton but it could have easily been called Ajeeb Maamooli.. I love that name.. It is the name you originally suggested to the police. How does this name Ajeeb Maamooli exemplify your predicament? Because of the contradiction that it is both strange and ordinary. Your life changed after that fatwa...and you have written it's not the book but it was the political situation that Khomeini ( Ayatollah Ruhollah Khomeini, Iranian religious leader and politician) found himself in and that your book was just a way in which he could regain the momentum of the Iranian revolution. I think the truth is Khomeini died soon after that and I always think what if he had died a few months earlier or what if the book had been published a few months later....? You know we wouldn't be having this conversation... It was just my bad luck to be his last stand. The agitation was not about your book it was about what it represented... the political symbol of anti-Islamism that you became. You feel it is a burden you carry? To be a political symbol of anti-Islamism? Well not exactly. What happened is that in the Muslim world, there was a very successful attempt to demonise me and to turn me into this kind of enemy. And the legacy of that is still there. A lot of the Muslim world still thinks like that and I can't do much about it. In the end you can't worry much about how other people define you, you just have to go on down your road and you know I never really primarily thought of myself as a religious writer. I just happened to write a book where one of the characters was involved with the concept of Islam but that was never primarily where my interest lay. Even in that book (The Satanic Verses) Islam is a sub-theme. It's mostly about immigrants in England and their struggle to adapt to the conditions there...a new life in a new world. It feels like a shame but there is a huge chunk of the world where my name has been blackened and all I can hope is with the passage of time this changes. You also write about India Today and its role in lighting the fire, the sensational headline that they came up with; i.e. "An Unequivocal Attack On Religious Fundamentalism". 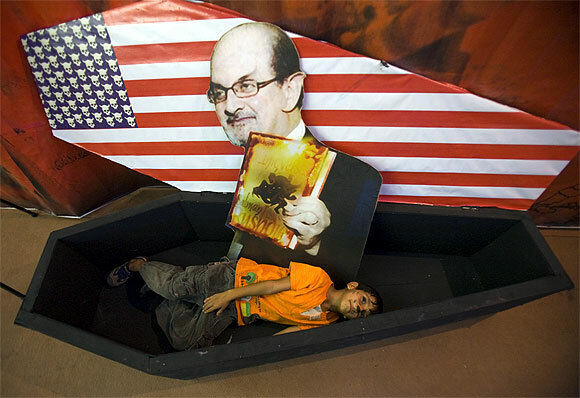 That is how they extracted your book, they broke the embargo and brought out (excerpts of) Satanic Verses. Do you think that article in India Today did a lot of damage? That's what lit the fire. You know truthfully given the scale of what then followed... probably if that had not done it, something else would have done it. But as it happened... that is what did it. Ya, it was a very distorted reading of the book and it was published even before the book had reached India. So nobody could actually read the book by themselves and see what it was actually about and it was these couple of Muslim MPs lead by Shahabuddin to get the book prohibited before any copies had reached the country. So it was banned without ever being looked at. And that seemed shocking to me. And one reason why it seemed shocking was because since that time the attacks on free expression in India have mounted and it has become easier and easier to attack writers, painters, scholars, cartoonists. We'll come to that in a bit. I want to know if you are still proud of India's openness. You wrote that you were proud of India's open democracy. But let's come back to the fatwa for a minute. The fatwa ruined your life for nine years but it also made you an icon of free speech. Is that a role you relished? I don't know if I relished but one of the things I realised when I regained my liberty was that this hasn't happened only to me. It has happened to lot of writers in many other countries. This has happened not only in Muslim countries but also in Africa, China and Asia...in Europe...they even tried to block J K Rowling's work in parts of Europe as it apparently promoted devil worship. So I felt that I had been strongly defended by many of my co-writers in those years and I felt it was time to give something back. One of the reasons I became very involved with the free speech subject and with free speech groups like the PEN Writers Association was precisely that. I thought I am not the only person in history to who this has happened. There are people in danger and under attack everyday. And I just wanted to do my bit for them just as many people had done their bit for me. And you also write very interestingly that there can't be two theories of Islam. That there is one true Islam of faith and love and that there is the bloody theocracies. Do you believe that that's wrong? That there is just one Islam and that Islam is in crisis. I think that something has gone seriously wrong. And I am just talking about in my lifetime. When I was a kid, many of these cities, in the Muslim world, which are now in a state of such crisis -- Damascus, Tehran, Baghdad, you know... within our lifetime those cities were very different places. Tehran was a great cosmopolitan capital. Intellectual, artistic, cosmopolitan capital. Beirut, so much so that the people called it the Paris of the East with good reason. So the Muslim culture within our lifetime has been something much more open, more tolerant, much more interested in the world outside just Islam not so closed off, not so paranoid. I felt that that was a much richer way to live. I'm not being theological I am just talking about how human beings live their lives. Pakistan used to be a very different place from what exists now. It was never a place where people rammed religion down your throat. 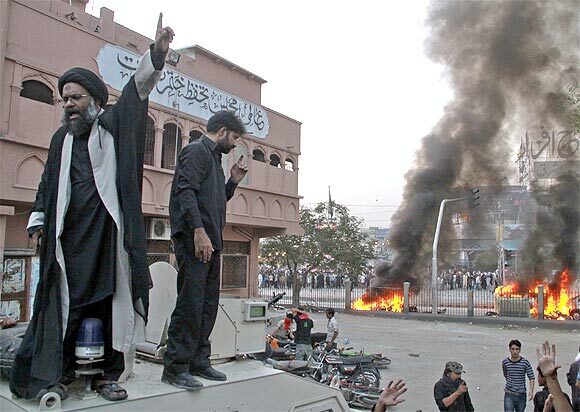 Every time they were given a chance, Pakistanis would vote against the religious groups and for the secular parties. So, as I say, within my lifetime there has been this other Islam which was more attractive, but what has developed now is a harsher one partly because of the spread of the Wahabi ideas, you know with the help of colossal amount of Saudi oil money, partly because of the rise of the Ayotalollahs in Shia Iran. Different reasons in different places. There has spread this much harsher, more intolerant Islam. And is it spreading, is it getting stronger? I don't know. You could argue that both ways. I think it's attractive particularly to a lot of young men. It is glamorous. Many of these countries are economically disadvantaged and the prospects for young people to make a life for themselves...marrying...raising a family, such things are very improbable. They can't do such things as they are very close to being destitute and the jihad seems to be giving them direction, some purpose, as it gives a sense of self importance which is alluring for many. But most of the people who have been oppressed by Islamic radicalism were Muslims. 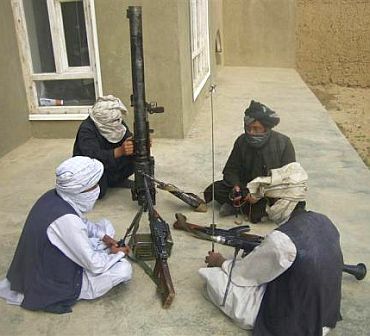 The people most oppressed by the Taliban were those from Afghanistan. The people most oppressed by the Ayatolllahs were those in Iran, in the end or even at the beginning there is rejection of that kind of Islam. Whatever happened in the Arab spring of the aftermath of it, much of the aftermath is disappointing but the big losers of that whole movement is the jihadis because one thing that all these movements showed that it could change your society in a different way. But is that so? As you know the US Ambassador to Libya has been killed because of that documentary on the Prophet. I just don't want to do the Mitt Romney thing where I shoot off my mouth before you know what I am talking about because there seems to be some doubt as to why the attack took place. Today there is a story that it could be related to 9/11. A planned and professional attack rather than a response to this film. I mean obviously this film is a piece of garbage, but a piece of garbage cannot justify killing anyone. Let's talk a little about you and religion. You write very often in the book about your atheism and your own humanism but you say you are fascinated by god and religion. In fact you say, it was curious that so avowedly a godless person should keep trying to write about faith. So why is that? If you are so irreligious, why are you fascinated by religion? Because it surged back to the centre of the narrative of our times. I think I am a creature of the 1960's, the stupid decade. One of the things that we all thought at that time was that religion was over, a dead subject, that was something in the past. We were talking about different things. The idea that religion would return to the centre of the stage would have seemed absurd if you had said that to someone in 1968 and we were all wrong. I don't think its only Islam, there's also the rise of the Hindutva. I live in New York and this is the election year and you can see all around you the power of the Christian Right. Why do you think religion is enjoying this kind of renaissance? I don't know. It's a mystery to me. I find it so difficult to join that club. Partly probably because the world is changing at a colossal and unpredictable speed and many of the old certainties dissolve in our hands. The way the world was yesterday is not the way it is going to be tomorrow. And often in times of such transformation there are people who clutch at certainty and the thing about religion is that it offers you this thing that is fixed in a world that is metamorphosing all around you. It offers you something that is more permanent, eternal. But in your mind religion is wrong? Is it untrue? Are gods unnecessary and irrelevant? Yeah, I think so. I think what has happened is religion has moved out of the private space. In a private sphere it is nobody's business, it's between you and your god. The moment it moves into the public sphere it becomes everybody's business. And I think that's what's happened and that's why I have taken this interest in it. But at the same time when the Babri Masjid was demolished you say you were possessed by a complex grief, do you feel a part of the Muslim culture of the subcontinent. Of course I do, but that Muslim culture is part of the Indian culture and that ridiculous attempt by the Hindu right to describe the Muslim part of Indian history as inauthentic is somewhat inauthentic. That's inauthentic in itself. If India had a sense of its history it would have a protection of monuments law like most other countries. But why were you sad when Babri Masjid was demolished if you're not a believing Muslim? Because it was beautiful and an important part of Indian history. I am trained as a historian. I am interested in beauty and architecture and it was one of the oldest buildings in the country. I would feel the same way if someone knocked down the Taj. India has a complicated old history...and by the way, everything is built on top of something else. When you have a country as old of this everything is built on something. Probably even under a Hindu temple, there are Buddhist temples. So then you do see yourself as an Indian/ South Asian Muslim? I do not. I see myself as an Indian from a Muslim family. My parents weren't very observant really except the 'no pigs' that was the extent of Islam at home. My father was very openly atheistic and communicated it to me as I did to my children. You're an atheist and a humanist. Ya, it's a perfectly reasonable thing to be. I was talking to my sister about this and she said that what I had done in Satanic Verses was, nothing is off limits. There is nothing that you can't discuss. And that maybe some people didn't like it. Did you ever feel your enemies had a point? Ever felt there was something in the Satanic Verses if you could you would do differently? No. They didn't have a point, they were wrong. Let's come to India. That you see yourself as an Indian. Midnight's Children is your classic, the winner of the Booker of Bookers and it actually defined a culture, an entire generation. You and India are the same age. Is that 1947 generation unique? Do you think you became a writer because you were born in 1947? I think what's interesting about it is that it a transitional generation, and such generations are always interesting unlike what came before and what might come after. You know we know so much about decolonisation to know that it doesn't end on the day the colonial rule ends there is an aftershock, an aftermath. My generation growing up there was an English leftover legacy hanging and slowly the emergence of a national identity. Something that fascinated me about Bombay films those days was that some filmmakers consciously thought they were engaged in the job of nation building, in all films, not just Mother India. They mostly tried to develop the sense of a nation in the minds of people. The nation is not fully born the day it is born like any new born baby it has to develop and mature and grow up. So I guess we were that generation. What one comes across in your book really often is your love for India. Your attachment to India. India inspires you and how you consider yourself a Bombay boy. You also say the wounds inflicted by India were the deepest. Do you feel hurt by India, it was the first to ban your book and now your movie Midnight's Children is finding it tough to be released. I think the press has just got ahead of itself. We only showed it at the Toronto film festival last weekend and I spoke to the producer just last week and he said many conversations were going on. So I think the press has just been a little too quick to jump... I saw some stories that my voiceover narration be taken off the film... that's just garbage. There is no such story, somebody made that up and certainly we would not do that... let's wait and see. Broadly...the kind of rebuff India has given you has that hurt you a lot? Ya, I've heard stories about how my books get rejected for university syllabus as they say I am not really an Indian writer... really? In what sense? Where is the foreign blood? And that is insulting. These books have been influential in the development of Indian literature; at least they should be studied. That point about intolerance. Do you feel India is no longer that haven of creative thinking? Yes, I do. All you have to do is look at the attacks on Ramanujan's essay on the 300 Ramayanas which was removed from the Delhi University syllabus. The attack on (Rohinton) Mistry's novel, which was immediately removed from the Bombay University syllabus. This attack on the cartoonist for his perfectly OK cartoons. India seems ... India has such a great tradition of political cartooning, we didn't just discover it. We have been very good at it in fact. And suddenly everybody becomes so thin skinned that everybody finds it so tough to do it. There is no such thing as a respectful political cartoon. The nature and the form is disrespectful. The leaders of the country immediately after the freedom struggle were immediately lampooned in cartoons and never attempted to suppress them. So we have become too thin skinned. Does Hindu intolerance bother you as much Islamic intolerance, because Hindu intolerance is behind many of these attacks. In Indian certainly, it's actually more dangerous because there are more Hindus. It's that majoritarian intolerance. For instance Hussain being attacked for painting Saraswati unclothed, well I haven't seen pictures of Saraswati clothed, where are they, who paints them? Where are the statues of Sarawati wearing a dress? The way Hindu deities are always being depicted is substantially unclothed. They are always ornamented. They are always wearing jewels. But the amount of clothing has never been an issue. That is how Saraswati is always depicted. So obviously it wasn't that. It was a Muslim artist, painting a Hindu goddess in that way. In fact it was a sectarian attack, it was not really about the pictures. But the fact that Husain was lost to India for so long, that much of his work has been permanently lost to India is a tragedy. There are so many of these stories now. The attack on the library in Pune, because of James Laine's book, I mean it seems like everyday there is another story. That I think has enormously endangered free expression in India and I think it is something for Indians to think about. You don't speak about Pakistan in any near as affectionate terms as you do about India. In fact you also talk about the assassination of Salman Taseer, the liberal politician who was assassinated, and then his assassin became the hero because he was an Islamic zealot. Are you not at all optimistic about a liberal Pakistan emerging? What is clear to me is that something has changed in Pakistan because I say the people, the ordinary people, never used to be that infected with Islamist extremism you know... The people were always moderate in their opinions and in their religion. That was one of the interesting things, for a state which was founded for a religion never made that big a deal for the religion. That's partly because Jinnah was to say the least, not particularly religious. You know it's just so distressing that this could happen. And the reaction to those things in Pakistan has been an indication that maybe public opinion is shifting, or blocked towards a harsher interpretation of Islam, and that's a great worry. Do you see that happening to Indian Muslims? 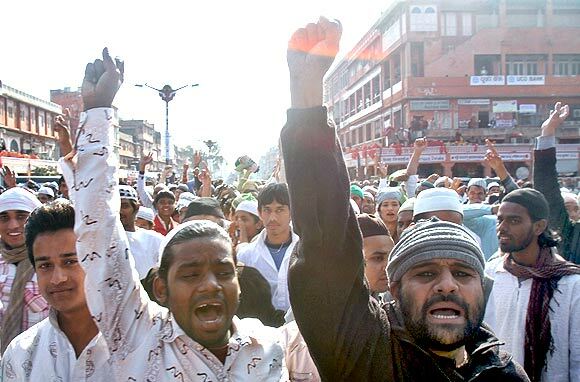 Indian Muslims also shifting towards harsher Islam? Maybe there's a little bit of it. For instance even in a place like Kashmir where the kind of Islam on offer used to be very Sufi influenced Islam, you see the beginnings of this very harsher Islam and I think that is going to spread. And of course there are groups in India which are interested to push that harsher ideology. So that's a great change, because the Indian Islam in which I grew up was always a very open, tolerant, argumentative, talkative community. All the great poets of India came out of that tradition and it would be a shame for it to be lost. Let's talk a little about writers in India. You published in the 50th year of independence that anthology which became controversial because you something pretty politically incorrect, saying bhaasha writers are nowhere near as good as Indians writing in English. Do you still believe that? Truthfully, one of the things about making an anthology is that you always get into trouble because all the writers who are in the anthology say, "obviously", and all the writers who are not in the anthology say, "I hate you". So it just taught me a lesson not to do anthologies. I just think it was an interesting moment, the last 30 years, because the great development of Indian writing in English has been just phenomenal, whatever you think of the bhaasha writers, the most interesting new phenomena has been this Indian writing in English. And a lot of very interesting and different writers have emerged. One of the things I think is good for the literature is that it should not all be the same, there should be a very wide diversity of talent. And I think now that's the case, now that you have writers from the very high artistic end to the very popular end. You go from Amit Chaudhury to Chetan Bhagat you know? You're not very warm in your book towards Arundhati Roy. You quote her as saying to the media that her work was truthful, your work was exotic, and then you called up her agent and asked whether she had in fact said this and she wrote back to you saying she hadn't. Are you not an Arundhati Roy fan? How can I put this? No. I'm going to leave it alone you know? I think she should go her way and I'll go mine. But you did have a disagreement with her on, for example, how she interpreted Islamic militancy. Well you know I agreed with her on some things. When she was involved in the campaign about the Narmada valley dams I wrote in support of that campaign. So it's not a kind of blanket disapproval. I think the way in which she responded to the terrorist attacks in Bombay is something which I took exception to, as did many people from Bombay by the way. I thought her remarks were in a very poor taste. Because you keep saying you can't tie Islamic terrorism to search of justice its not as if it is justice denied therefore youth are becoming militants. It's just an obscurantist movement. Well, I think it about power not justice, It seems to me that when religion acquires this militant political dimensions, it's about power; its purpose is to grab power. I mean the Taliban weren't about justice there were about power grab so is Al Qaeda. So you have to see it as manifestation of desire of power not a manifestation of desire for justice. That's what I think. No, I mean she has said herself how much she differs politically from me, so let's just leave it at that. Let's talk about the personal aspect of your book, which is seemingly honest. You wrote in an honest way about your former wife Padma Lakshmi. Well there is only a little bit about Padma. (laughs) Well, she does, it's not untrue. Well, I think some of that language comes to me from what my ex-wife Elizabeth had said to me. She had said that I had succumbed to an illusion. That is where that comes from. I tried to be fair about Padma because I do think that we did fall in love and we were together for a long time and that a lot of that time was happy, you know of the eight years. It was a good relationship before it became a bad one. It is not the first time in the history of human race that that happened. What I was trying to say maybe that there was part of it that maybe I got wrong... was to load too much expectation on her, for her to become this Indian past joined to the American future. There is the ridiculous fact that I met her at the Statue of Liberty. I literally did. I tried to say that in many words she was courageous. When I was trying to lead an open life she was willing to stand next to me. You are honest about your relationships...your role in your failed marriages. Do you have trouble being faithful? No, I mean all these were long relationships and I was very faithful. If you are married to someone for 14 years and it breaks up that doesn't mean that you have problems being faithful. One of these relationships was 14 years...one was 10 years and one was eight you know that is a lot of time. Your second wife Marianne, she sounds, you know as we say in India mental! (laughs) You said it...I didn't. But you know you honestly wrote about that relationship. At the point that we broke up she gave an interview that was published on the front page of the Sunday Times, London, in which she called me every name in the book you know and that was more than 20 years ago, so I think I have been quite patient. At the end of the book you talk about the debate you had with John Le Carre about free speech and he made a point that free speech is fine but can't insult great religions and you made the point that no free speech is important....do you continue to believe that free speech is absolute and within it includes right to insult religion. I'm tired of religion demanding special privileges. I mean, you know, get over it. There's no other idea in the world which demands protection. If ideas are strong they can stand criticism. And in any open society you have to be able to discuss things in whatever terms you choose. That's just the nature of openness; otherwise you're starting to create a semi-closed society. In a way I regret the argument with John Le Carre because I admire him as a writer and I prefer not to have had it. But I think there are two points to make. One is specifically about religion, that in the 18th century in Europe, the writers of the European Enlightenment who basically forged what we now think of as the modern idea of free expression, they very much knew that their battle was not against the state, it was against the church. In those days the Christian church with its inquisitions and excommunications and so on had a whole range of weapons with which it tried to limit what could be said, what could be discussed. And it's clear that those writers; Voltaire, Didero, Rousseau, Montesquieu they saw the battle for freedom was to be fought against that. This is just another chapter of that. Different religions but same battle! The other point that Le Carre made was he said that if you take on a known enemy, and it starts behaving as you know that it does then you can't be surprised, you can't ask for sympathy. Well if that's true, then the entire noble history of writers confronting tyrants is to be dismissed because they knew. Mandelstam knew what Stalin was like, Lorca knew what Franco was like. Writers have always taken on tyranny, always. Knowing that its tyranny, knowing that it endangers them and still doing it because they think it's important to do. So you think art is always on a collision course with power? Not always. Not all art, not all power. But it seems that whenever a country falls into the hands of authoritarian or tyrannical rulers, the first thing they try to do is shutdown artistic expression. It seems to be what they're most afraid of. And it's odd because writers have no armies. And yet they are still to this day what tyrants fear most. There's a great line in Italo Calvino's novel, If On a Winter's Night a Traveler. I'll slightly misquote but he says you can always tell the degree of respect a country has for literature by the size of the apparatus it sets up to repress it. And there's a truth in that. On that point about literature, again there's a lot of nostalgia in your book about a time when literature was important. You quote the words of Shelley where you say, "writers were once the unacknowledged legislators of the world. You hark back nostalgically to a time when ideas and books were important. Do you lament this sort of declining importance of the book and the reading culture? You know now in America for instance, instead of having writers like Susan Sontag and Norman Mailer commenting on the world, instead you have the artists who do have that ability are movie stars. So if you're George Clooney or Angelina Jolie you have a voice in politics, whereas writers tend not to in America. In other parts of the world it's still better than that. You speak a lot in your book about finding a voice, about finding your voice as a writer. Have you become the writer you always wanted to be? Well no, I think the thing about being a writer is that it's an endless process of becoming, because you don't stay where you are. I mean I'm not any longer, the same as the person who wrote Midnight's Children for instance. When that book started I was 28, when it was published I was probably 33, and 32 years later I'm not the same person. I couldn't write that book now I suspect that young fellow couldn't write what I'm writing now. So you go through an endless process of becoming. Your relationship with language changes, your relationship with your subjects change, you feel that you've done something enough and you want to do something else, it's a journey. And I think that fortunately one of the great things about doing this job is that you don't have to stop. I'm actually 65, I'm retirement age. Just as a last question, what's the best way to keep up the fight against bigotry and zealotry and defend freedom of speech? You've often said the argument is the most important thing, what's the best way to defend freedom of speech? Fearlessness. We live in a very timid time, partly because there have been all these threats and attacks. But I think the artist at least must remain fearless and do his work without regard to those kind of consequences. And then it's up to society as a whole to make sure that the space in which art can flourish is protected. And maybe India is not doing such a good job.